Suffering from Asthma? Here’s what you can do. Asthma (also known as obstructive lung disease) is a chronic, long term health condition causing inflammation and narrowing of the airways, blocking the smooth passage of air in and out of the lungs, resulting in wheezing, shortness of breath and cough.  Maintain an asthma diary to track your symptoms. Record each episode of asthma including the time of the attack and predisposing factors.  If you are a smoker, quit smoking.  Do not take cough medicine for asthma, as it often leads to adverse effects.  Drugs like Aspirin and nonsteroidal anti-inflammatory drugs, worsen asthma in certain individuals. These medications should not be taken without the advice of your health-care provider. Always consult a doctor before taking any kind of natural, herbal or non-prescribed inhalers.  Use a peak flow meter to help monitor your condition. This will help identify triggers causing the asthma attack. 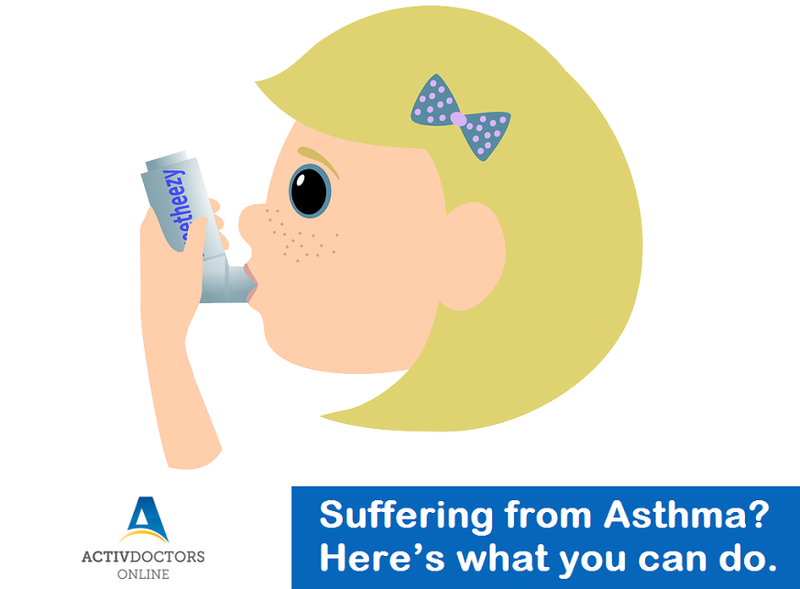 Asthma can be controlled by knowing the triggers first and taking medicines and measures to avoid them. The Asthma Action Plan will also tell you what to do when you have a good or bad asthma day. Your Asthma Action Plan should be reviewed and updated with your doctor.  To maintain an asthma action plan, give your doctor the personal ‘best peak flow’ reading. This reading will help to identify your personal asthma zones and what medicines to take in each one. Asthma is a reversible disease. Early detection and diagnosis of asthma helps control symptoms more effectively by finding the triggers factors that cause the attack.